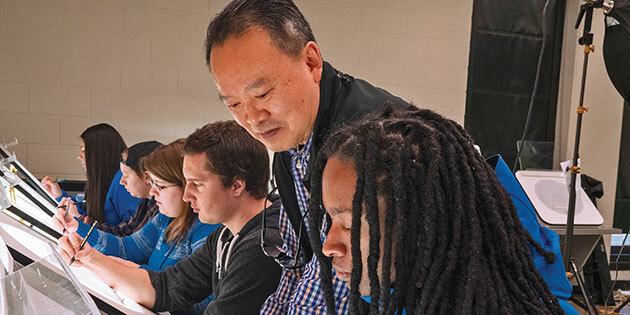 LiQin Tan, professor and head of the Rutgers–Camden animation program, pictured overseeing students in an animation class, emphasizes both 2D and 3D principles. Photo by Mary Anderson. There were the rough drafts, daily meetings, consultations, and collaborations, not to mention the constant cycle of revisions, deadlines, and who knows how many trips back to the drawing board. 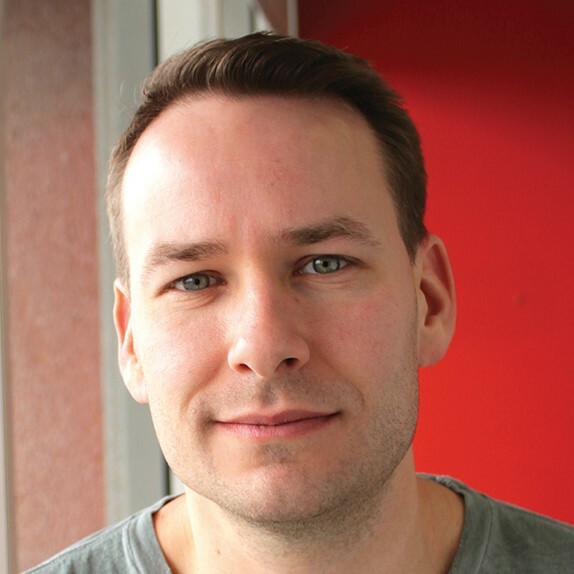 But for Chip Lotierzo, a 2002 graduate of Rutgers University–Camden’s animation program who worked on the film Ferdinand, the years-long production process began, appropriately enough, in a barnyard. “We had some fun visits to farms to study bulls and goats,” he said. 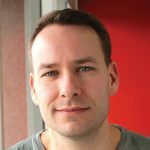 Chip Lotierzo CCAS’02 worked on the film Ferdinand, which was nominated for an Oscar and a Golden Globe in 2018. 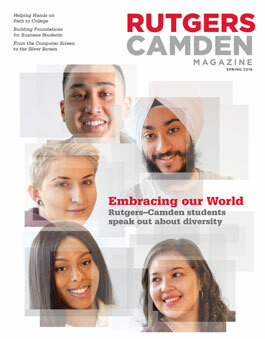 Lotierzo headlines a growing list of accomplished alumni of the Rutgers–Camden animation program who are thriving in a wide range of roles in different industries. “Alumni of the program are enjoying success in film and TV, as well as in video game design, architecture, medicine, music, and jewelry-making, among other industries,” said LiQin Tan, professor and head of the animation program. Notable alumni in addition to Lotierzo include Shaun Jennings CCAS’05, who works as technical art director for Ubisoft Toronto, a major video game development company, and Milady Bridges CCAS’08, an animation and visual effects artist who is program director for animation and visual effects at Drexel University. Bridges’ film credits include Jurassic Park 3D, Titanic 3D, and The Avengers. But there is much more to animation careers than making movies. Madeleine Hogan, a senior from Sicklerville, New Jersey, is not striving to work in movies or video games, but instead wants to take the skills she is learning into fields such as environmental services, medicine, or real estate. “I really like the 3D modeling part of it, as well as environmental design and architectural design,” Hogan said. 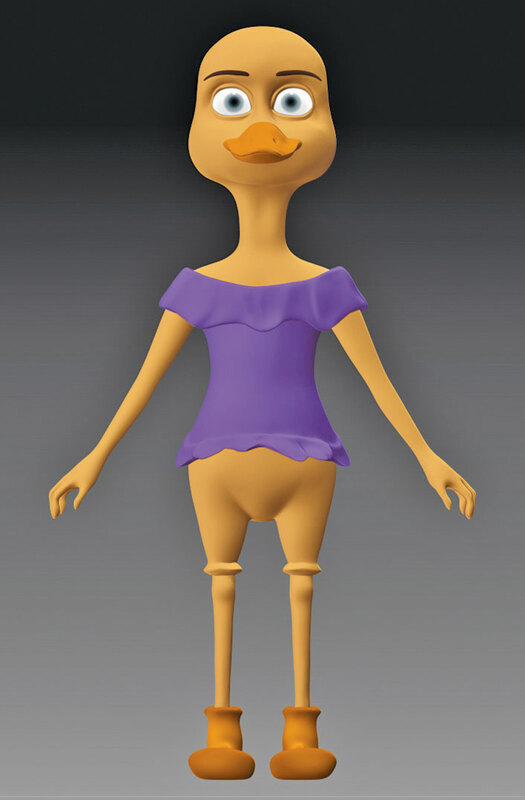 The Rutgers–Camden animation program—and the widespread applications of graduates’ expertise—is a reflection of Tan’s personal philosophy that the artistic and technical aspects of animation should be cultivated hand-in-hand. Some college programs, he said, mistakenly believe that artistic skills take sole precedence, leaving students grappling with how to use the technological tools at their disposal. “It is actually the ability to use these technical skills that allows an artist to open their minds to new ideas and visions that they otherwise would not have known were even possible,” he said. In addition to his leadership of the Rutgers–Camden animation program, Tan’s digital artwork has won awards and been exhibited worldwide. In recent years, he has written and published many works, including his latest book, Singularity Art, published last year.